We have a brief stop in Madrid waiting for our tour of Rioja to begin. What to do in Madrid? 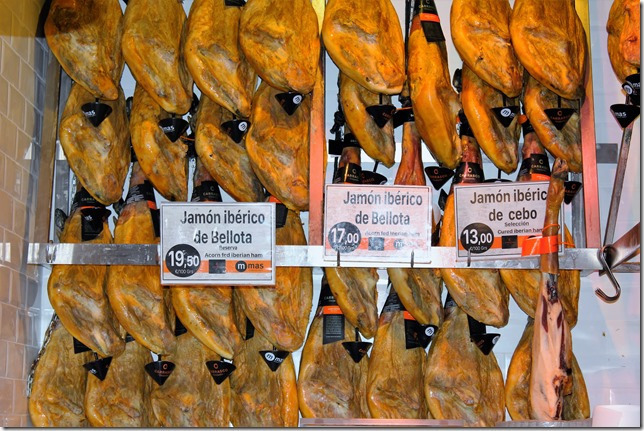 Do what the madrileños are most famous for—tapas hunting. 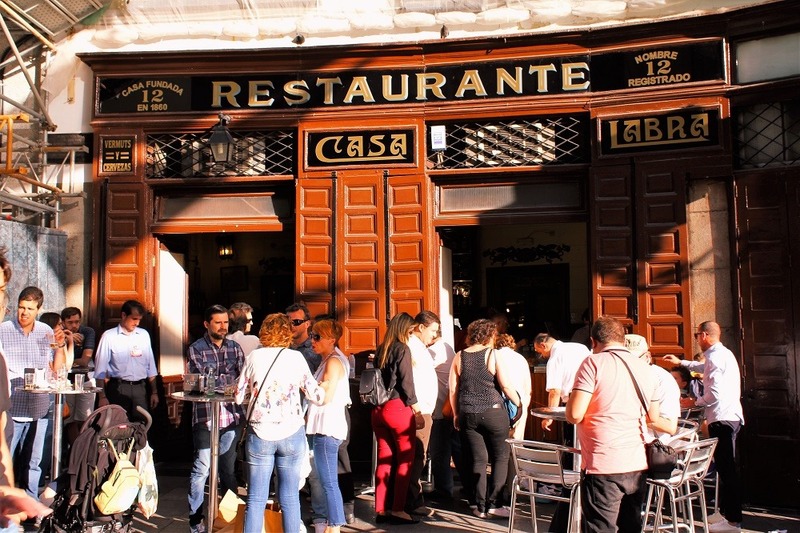 I don’t know that there is a more vibrant food culture in the world than the several neighborhoods in Madrid that feature hundreds of quirky tapas bars crammed into a few blocks patronized by hordes of strolling tourists and locals seeking the perfect bite. In the U.S. we think of tapas as creative small plates offered as appetizers in upscale restaurants. 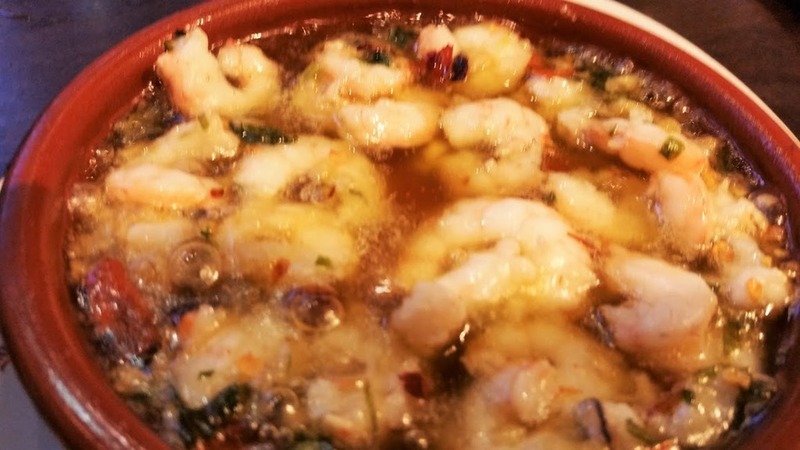 But in Madrid a tapas bar is typically a small hole-in-the-wall with a few stools crammed to the rafters with tapas aficionados, who drift from one spot to the next well into the wee hours of the morning. 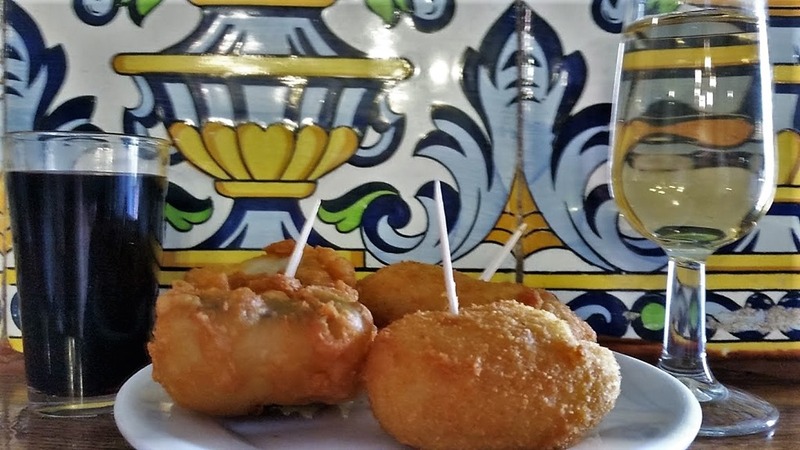 or the salt cod croquettas from Casa Labra. Others stay on the cutting edge of contemporary cuisine. 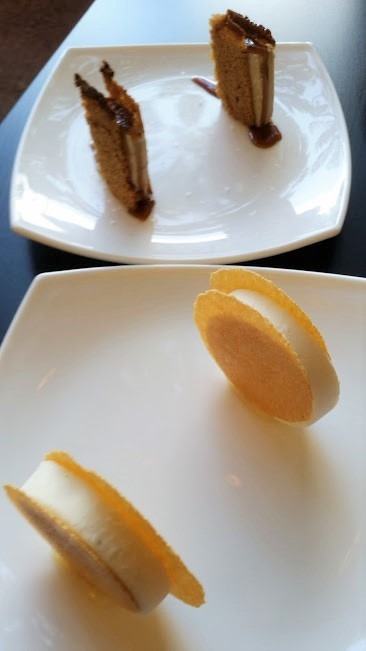 These crisps filled with savory parmesan ice cream and foie gras with maple syrup are from Estado Puro, with innovative dishes designed by El Bulli-inspired chef Paco Roncero. The best methodology for discovering the good stuff is to find out what the specialty of each bar is, order a small plate to be shared among friends, washing it down with wine, beer, or cider and then wander down the street to the next destination, rinse and repeat until stuffed and thoroughly sloshed. However, our final meal in Madrid was no tapas plate. 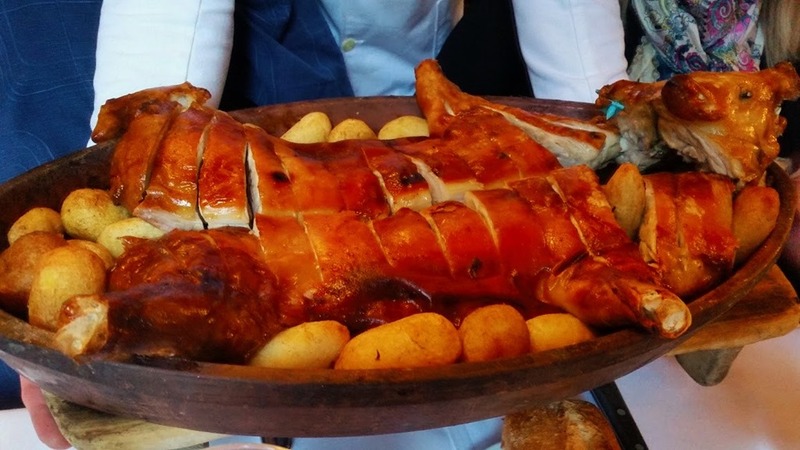 This roasted suckling pig served at Restaurante Botin, allegedly the oldest continuously operating restaurant in the world ( founded in 1725) was tender and juicy with cracklin’ skin—a fitting finale to our brief stay in Madrid. 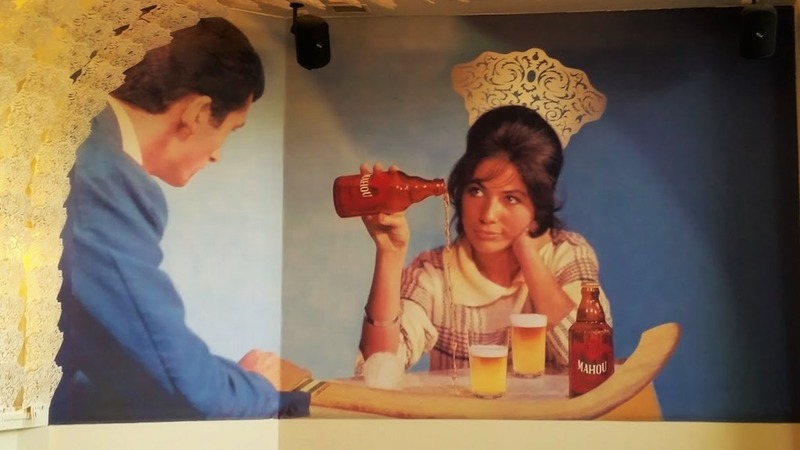 Tapas culture is informal, playful, quirky and irreverent ….an attitude well captured by the retro wall image in Estada Puro featuring a young woman sporting a traditional Mantilla comb distinctly unimpressed with her companion.